Composed of a complex blend of 65% Cabernet Sauvignon, 30% Merlot, 4% Cabernet Franc and 1% Petit Verdot, the 2014 Château Pontet Canet is now in its 10th vintage, fully cultivated in biodynamic! 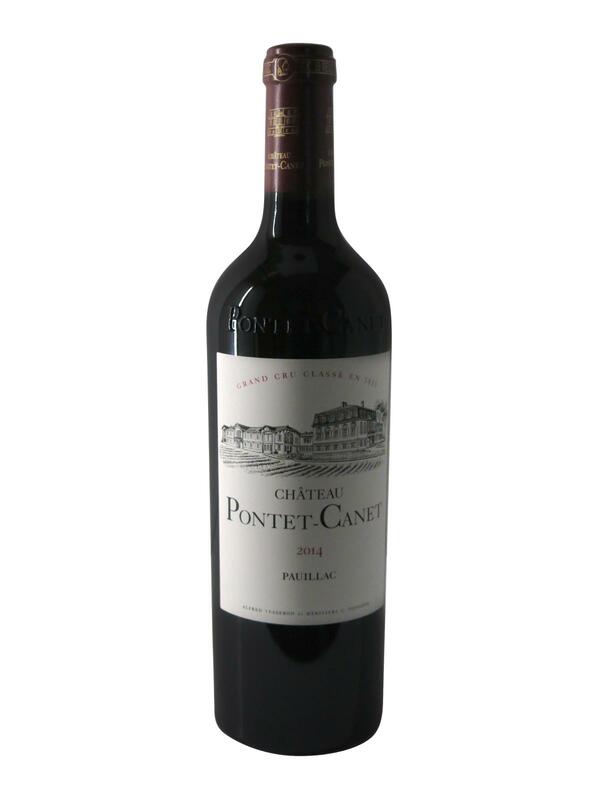 Château Pontet Canet 2014 offers an elegant and infinitely ample nose, full of juicy and ripe black fruit with notes of violets and a touch of minerality. On the palate, elegance and sophistication are at their highest. The black fruits are always very present, accompanied by fine and subtle granular tannins. This Pontet Canet 2014 is part of what the Pauillacs do best, with a perfectly juicy mouth and creamy fruitiness that form the pillars of this stunning vintage! Château Pontet Canet 2014 is already easy to drink but a few years in the cellar will only make it even better!